It has been a wonderful start to the year in the K – 2 school. Our beautiful new Kindergarten students have settled in extremely well to the routines of ‘Big School’ and Mrs Baker is enjoying working so closely with them. We have also welcomed several new students into Years 1 & 2 and we are very pleased to have them join our MVAC family. I have the pleasure of teaching Christian studies to the K – 2 classes this year, as well as some Primary classes, and I have been impressed at how wonderfully all our classes have settled into the new year and they are already working so hard. 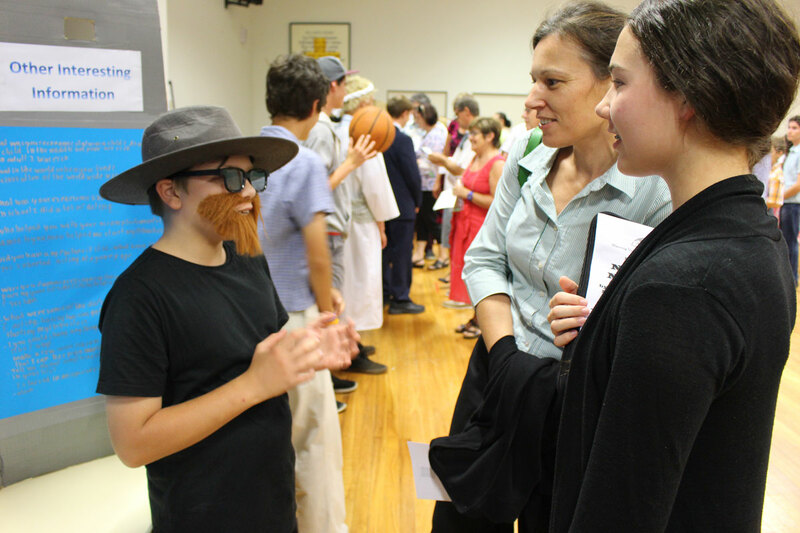 Thank you to all the parents who were able to attend our recent ‘Meet and Greet’ evening. It was lovely to catch up with existing parents and also make some new acquaintances. 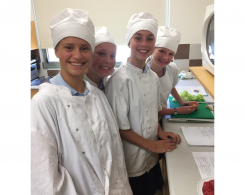 Here at MVAC, we value the relationship between families and the school and hope you always feel welcomed as an important contributor to the education and wellbeing of your child. Next Friday, there is sure to be much excitement as the Life Education Van and Happy Healthy Harold arrive at MVAC. The students from K – 6 will have the opportunity to visit Leanne and Harold in the Life Ed Van either next Friday or early in Week 6. For your diaries, there will be an Easter Hat Parade for K – 6 on the morning of the last day of Term 1, Friday 7 April. Further information will be coming home in the coming weeks in regards to this. For those new to our school, we alternate between the Easter Hat Parade and the Book Character Parade each year so they are biennial events. 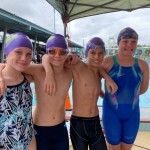 It has been a busy start to the year for the Primary cohort at the College, with staff and students returning to a new school year that is sure to be filled with opportunity and success. We are currently experiencing impressive growth in the Primary and I would like to welcome all of the new students and their families into the College community. By all reports these students are settling in well to their new learning environment. 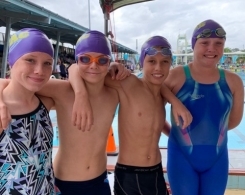 The addition of a second Year 5 class, a consequence of this growth, is an exciting development. The class, which is being taught by the recently appointed Miss Alana Nuttall, will soon relocate to a larger classroom space alongside the other Year 5 class. This flexible learning space will be able to be utilised as two separate classrooms or an open-plan learning hub fostering collaboration and project-based learning between the two classes. The construction of our impressive Covered Outdoor Learning Area (COLA) in the Primary is another welcome addition for staff and students. While obviously providing essential shade, the COLA has also offered endless opportunities for teachers to utilise the space as an outdoor classroom or for any number of other educational and sporting ventures. A new positive behaviour award system that is very closely linked to the College’s Spirit Cup sporting house competition has been introduced in all K-6 classes. The aim of this system, which was promoted so enthusiastically by the Year 6 students during their recent assembly item, is to develop a culture of high expectations, by recognising and rewarding students who are able to demonstrate that they can be respectful and responsible learners. The rite of confirmation involves the candidates confirming the promises made on their behalf by parents and god parents when they were baptised (i.e.christened) as children. Confirmation is therefore expressing a mature decision on the part of the candidates that they want to be Christians. 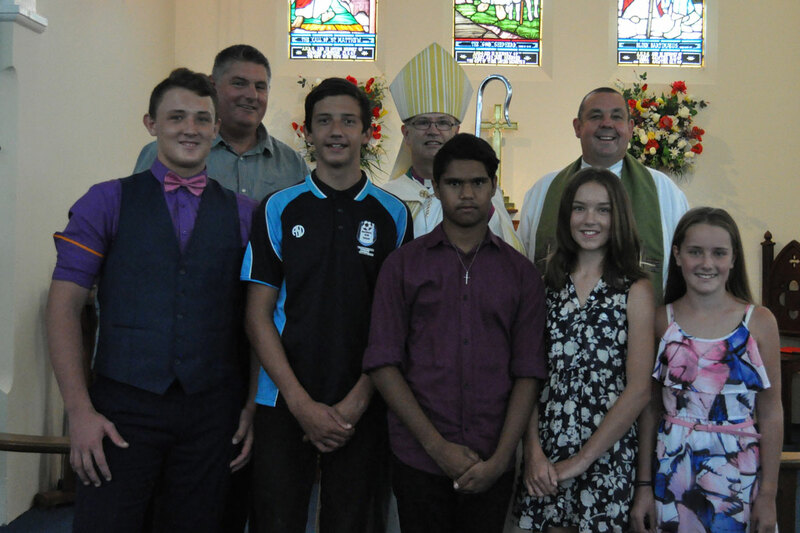 The Confirmation service was presided over by Bishop Peter Stuart who is the Assistant Bishop of the Anglican Diocese of Newcastle. Bishop Peter preached on the importance of forgiveness in the life of Christians in imitation of the example set by Jesus. The Reverend Brian Ford, the Rector (i.e. senior minister) of Wingham Anglican Parish assisted Bishop Peter in conducting the Confirmation service which also included a celebration of the Eucharist (i.e. Holy Communion). We congratulate Dakoda-Jae, Braithe, Tim, Tegan and Erin on this important step they have taken in following the Lord Jesus Christ and assure them of our prayerful support. 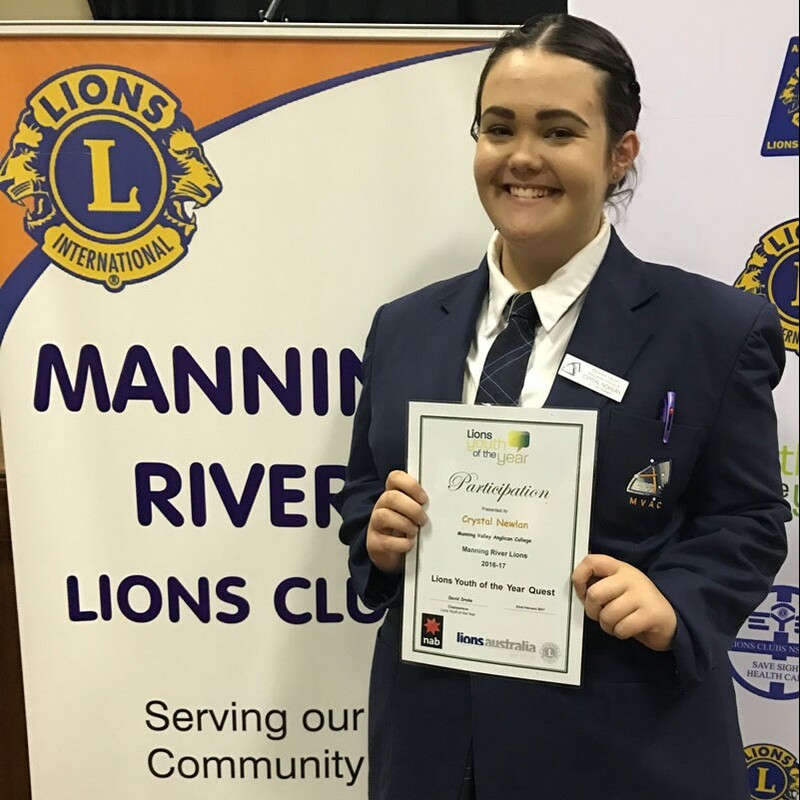 Congratulations to SRC President Crystal Nowlan, who represented Manning Valley Anglican College in the Lions Youth of the Year Quest in Taree on Wednesday, 22 February. 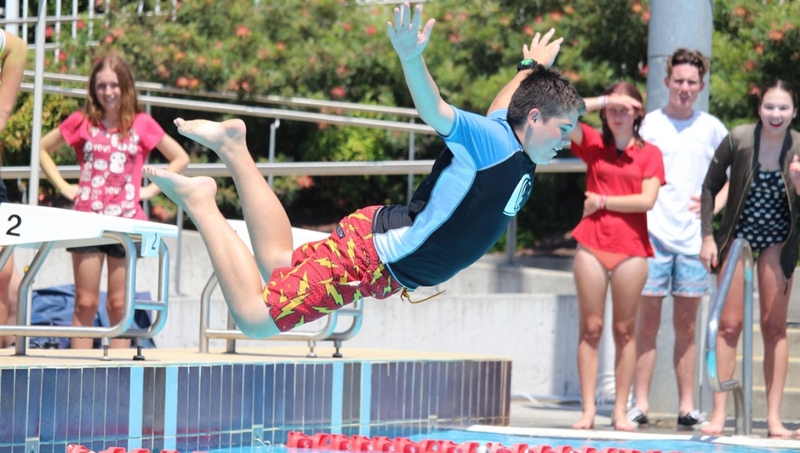 The Youth of the Year Quest seeks outstanding young leaders from communities across Australia. Participants are judged on their academic success, their involvement in extracurricular and community activities, their leadership potential and their public speaking abilities. 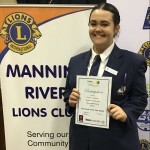 Crystal excelled throughout the various stages of judging, especially in the spoken component, featuring impromptu responses and a prepared speech, in which she discussed voluntary euthanasia with great consideration and maturity. Well done Crystal on your remarkable efforts. 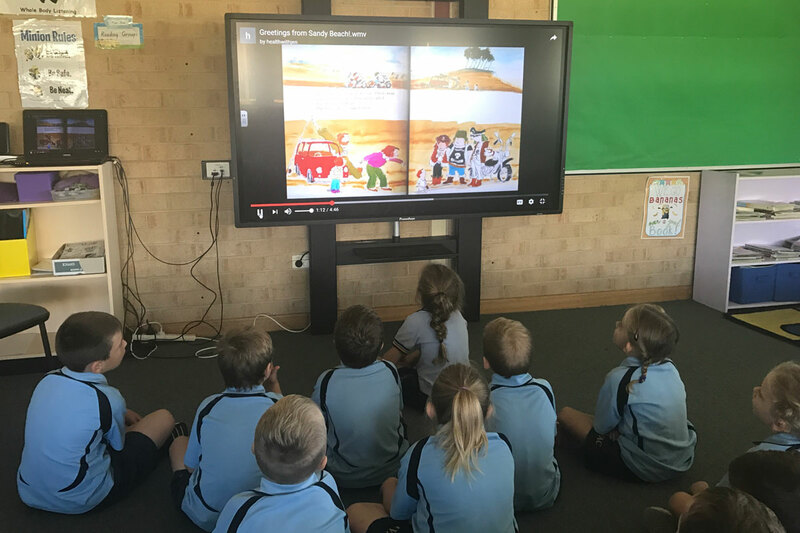 This term we have installed new Interactive “Promethean” Whiteboards in 3 Primary classrooms and 1 classroom used by K – 12. These boards replace our previous SMART Boards and continues to allow staff to embed technology into their teaching. Teachers will be able to install interactive apps to engage students and enhance the teaching of concepts. MVAC is lucky to have screens or projectors in every classroom allowing teachers to use multimedia to enrich learning experiences and foster greater collaboration amongst students.